“Does it really matter?” you might be asking yourself but there are important distinctions that, will not only irritate narrowboat owners and canal buffs if you get it wrong but, from an insurance point of view could have serious implications as to the scope, validity and availability of your protection. It’s probably sensible (and safer) to start with the narrowboat: built specifically with canal navigation in mind (hence they are narrow) a narrowboat has a beam (width) of between 6 feet 10 inches to 7 feet. Maximum length is 72 feet which is based on the UK canal system’s lock size. However, many locks in the north of England can only accommodate craft with a maximum length of 60 feet. From a modern perspective a narrowboat also has an engine, which means it can move under its own power. Modern construction is steel; previously hulls have been constructed from wood, glass-fibre, wrought iron and ferro-cement. 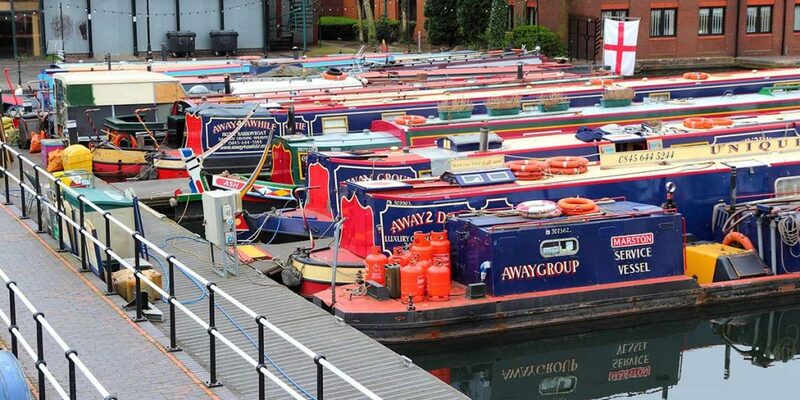 Insurance for narrowboats can be obtained from number of specialist marine and boat insurance providers. Policies can be sourced direct from an insurer or from a specialist marine and boat insurance broker. The essential difference between the 2 options is that an insurer will only offer their own products whereas a broker should provide advice as to the best option available to meet a policyholder’s requirements. A broker should also be able to provide advice and support in the event of a claim being made on the policy. Narrowboat insurance premiums may vary widely from provider to provider. Some insurers have a particular appetite for narrowboats and others a distinct aversion. It is possible to source cover for Hull, Machinery and Third Party Liabilities as well as a Third Party Liability only basis. A “Builders Risk” option can also be sourced if an individual is building or fitting out his/her own vessel. Premiums will range considerably depending on the use of the narrowboat: insurers’ appetites may differ if the boat is used for permanent cruising, permanent live-aboard or commercial use such as hotel-boat, floating restaurant or charter. So, having looked at what a narrowboat is, let’s turn our attention to barges. On the British canal system anything wider than a narrowboat’s 7 foot can be referred to as a barge. However, there are some craft which are used for leisure that are a few inches wider than the maximum 7 feet beam of a narrowboat and are generally referred to as “Widebeams”. Additionally, there are vessels being used on the system (particularly classic and restored craft) that may appear to be narrowboats but, because they have no engine, need to be towed or remain static. We can apply the term “barge” or “dumb barge” to such vessels. Canal barges are usually employed to carry cargo and are typically a maximum 70 foot in length. Unlike narrowboats, however, their beam is at least 14 foot 6 inches. The outsize beam of such vessels means you won’t see them on canals such as the Birmingham Canal Navigation due to the width of the locks which are able to accommodate only narrowboats but you will see them on the wider waterways in the north of England as well as the Thames and Medway, often having undergone extensive conversion to luxury houseboats that are either permanently moored or cruising. Dutch Barges, which also fit into the “Widebeam” bracket, are also commonly seen on British waterways. The original Dutch barges were of wood construction and powered by sail. Modern vessels are steel-built and powered by diesel engines. You will see fine examples of Dutch Barges and new, British-built “Dutch-style” barges across the waterways system. They will more than likely be permanent live-aboards. Although we have seen above that narrowboats, canal barges, Dutch barges and other widebeams are often used as permanent dwellings it would not necessarily be accurate to term them “Houseboats”. While the word “houseboat” implies a boat used as a house, it would be more accurate to reserve this term for a “dumb barge” that is permanently moored. The quality of such vessels will range from the opulent to the basic. Houseboats of all types can be seen on the Thames, from converted Thames Lighters and Humber Barges to luxury new-builds and rather more basic, low-cost examples. Unlike narrowboat insurance the Market’s appetite for these larger vessels is not as keen. Some leisureboat insurers do not want to cover vessels with values in excess of £250,000. Others can accommodate the higher values associated with luxury new-builds but are averse to insuring houseboats that cannot be moved under their own power. Others still are not able to cover craft being used for commercial purposes. It can also be difficult finding cover for older vessels without insurers’ sight of a full and satisfactory out-of-water survey report. All this, of course, means insurance for these types of craft are not as generally available as insurance for narrowboats. A specialist broker with access to multiple insurers would be a good starting point in sourcing the right cover to meet your specific requirements for these particular vessel types.